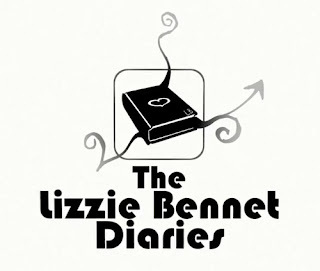 The Lizzie Bennet Diaries is more than just a show to me. I will never forget when I FIRST heard about LBD - suddenly, there it was on my Facebook feed. One of my friends from middle school had posted a link and said, "You had me at Bing Lee." Disclaimer: This product was self-purchased. 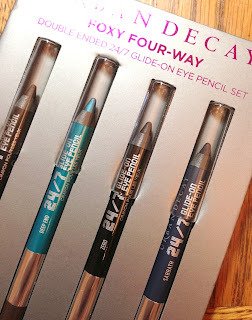 Urban Decay's Foxy Four-Way set comes with four double-ended pencils for a total of eight shades - four of which are permanent (Zero, Perversion, Demolition, and Stash), three of which are braaaaand new (Deep End, Delinquent, and Muse), and one limited-availability shade (Sabbath, which I'm super happy to have a backup of, now, because I LOVE IT). 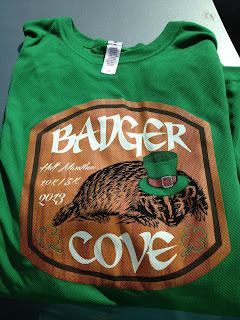 HM #5 on the year: Badger Cove in Livermore, CA. Accompanying me on this race was my fellow runner friend and NDSJ alum, Sonia, as we slowly made our way through this picturesque and hilly scene. Wisely, I decided we'd take the early hiker start, since I had no idea exactly how hilly it would be, and I thought I might not want to have to push myself when I've just lately been getting back into the groove of things, health-wise. I've had a nagging pain in my leg this past week, and I just didn't want to risk injuring myself on a hilly race and prevent myself from doing well on future races that I actually can run. ALL the hills were hard, but there were a few that were especially cliff-like, like the one above. And we had to do it TWICE, since it was a loop course. There are new FTC guidelines for bloggers who review products that are provided to them by companies. (Click here for an overview.) Basically anytime bloggers review products that they have received for free, they need to state it upfront and early on. 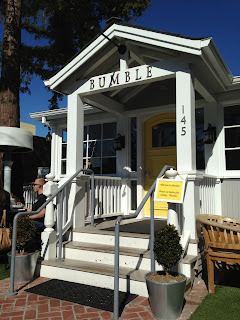 I don't know if you can call what I do reviewing (I guess it is? 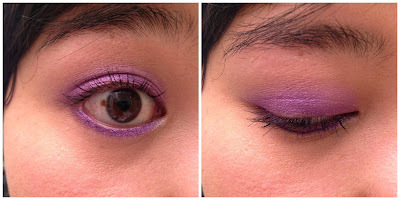 I mostly do comparisons and swatches), but you should know that I almost never receive stuff for free. 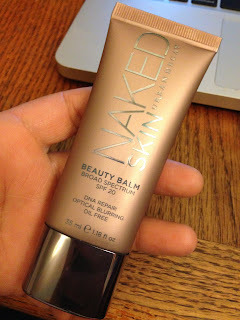 (The only time I receive products to review are when I'm writing for Painted Ladies - and I always disclose that in my post, and I only share those reviews on my own blog as a link.) Um, yeah, the (sad) truth is that I buy all my stuff myself, or I receive them as gifts (PERSONAL gifts, like for Christmas) or I review free samples that get tossed into my Sephora bag. I've been officially back on Paleo a week, but I think the more noteworthy point is that I wasn't perfect. And it DIDN'T derail me. At least I ordered gluten-free desserts for myself (the mango pudding and the honey praline chocolate cake). And then on Sunday we went to Marin for the day, and when I got home, I was like, MEH and ate Texas Cheese fries and Jolie's leftover cake. And gained back, like, five pounds. Yeah. So far, this isn't unusual. I fall off the wagon often. What IS different is that I got right back on the wagon on Monday. Every time I look at/read about/see this eye shadow, I immediately get the Yeah Yeah Yeahs' song of the same name stuck in my head. Which is totally cool by me. So, having recently gone to Florida, I decided that would be a great time to really try out UD's BB cream. I had brought my Missha BB with me as well, but it's actually really thick, and in the Florida heat and humidity, I wanted something thinner, with less coverage. 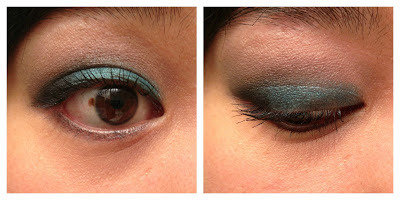 I had a couple deluxe sample tubes of UD's so I used those instead. And you know what? I ended up LOVING it. It definitely didn't provide as much coverage, but sometimes the Missha cream goes on like a foundation and I just don't want that much. The UD cream smooths over my complexion just enough. I have done back-to-back long races only one other time, and that was back in July when I was in much better shape from marathon training. Also, there was a full week in between (Saturday to Sunday). Today? 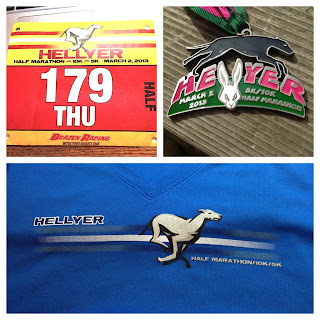 Second half marathon in LESS than a week. (Ran on Sunday, and today is Saturday.) Oi. Ouch. Owie. ALL THE HURTS.